Paul's role currently is to roll out the EPL throughout West Australian venues so that everyone can enjoy "the Beautiful Game"
Shannon has over 15 years’ experience working in financial and legal services. Shannon has extensive experience in all areas of residential, commercial and business Conveyancing. Shannon works with clients on large subdivisions, off the plan strata developments and complex commercial transactions. Shannon has worked on some of Perth’s largest commercial property transactions and on behalf of developers on residential, commercial and built strata projects, where at times she was exposed to the complex issues that can arise. Shannon’s experience allows her to understanding each client’s individual needs. Shannon is passionate about ensuring she offers her clients practical solutions and a first class service. It is because of this that clients repeatedly use Shannon for all their property transactions. Michael’s focus as the Director of ‘All About You’ Financial Solutions is to make the loan process easy for all our customers. This has involved building a team of Finance Professionals focused on listening to every individual customer’s needs and finding them the right loan to suit. Michael’s extensive banking and broking background, along with his formal qualification of a Bachelor of Business (Edith Cowan University), enables him to oversee every loan and ensure the right financial solution is offered with outstanding professionalism and integrity. In addition to this, Michael and his team will assist with document signings and most importantly, ongoing support after settlement. This optimum service means that Michael and his team of Finance Brokers will not only find the customer the right loan to satisfy their needs, but also to thoroughly check and explain all documentation, and follow through to timely, hassle free settlement. is a director Vision Financial Strategies and a member of the Association of Financial Advisers. Paul offers a full financial planning service to clients of all ages and walks of life. He has been in the financial services industry since 2006 and offers a range of insurance, investment, superannuation and retirement strategies. He is passionate about ensuring each individual’s ‘financial health’ remains in check, by assisting them to achieve their personal, financial, and lifestyle goals. Paul is a keen Dockers supporter and when he is not at the football he is either spending time with wife and family, walking his 2 Great Danes, or taking his GTS Monaro for a spin. is one of the Directors and owners of RDC Constructions. A family business started in 2004, we have been designing & building homes, multi-unit developments and commercial properties to meet the needs of our clients. We offer a wide range of services from straight home construction to entire built strata developments, complete with turnkey finishes right down to landscaping & floor coverings. is a Director at PRG Property Investments and provides support and services to all their clients, Alliance Partners, Financial Advisers, Mortgage Brokers and Accountants alike. To help service their partners they have set up a Development Team to provide access to Newsletters, Property Reports and Feature Articles specific to their groups, company or business. Blake is a third generation chiropractor with 12 chiropractors in the family. He has had the privilege to care for patients that have been treated by his grandfather and late father. Coming from a family of 12 Chiropractors Whilst at university here in Perth, he met his wife Veronica and they now live locally in Mt Pleasant with their two children, Hunter and Matilda. Blake also has a leadership role in his local church and has a keen interest in free diving and spear fishing, with a personal best breath hold of 4 minutes. Thomas Murrell MBA is an award winning broadcaster, international business speaker and media consultant. His company, 8M Media & Communications, provides solutions to media and communication issues for Top 500 companies, Government agencies and leading Universities. BRW Magazine described him as "committed to using creativity as a competitive edge". Dinesh is a proactive & solutions driven professional working with small to medium sized businesses focusing on business improvement advice and support with practical, hands-on implementation with extensive experience in mining, oil & gas services and power generation industries in Australia (+11 years) and the GCC (+10 years). With his wealth of big business experience and entrepreneurial mind, he has the ability to work across sectors, identifying areas of potential opportunities, improve internal controls and sharing best practice to help businesses grow and achieve their goals. is the franchise store owner of Helloworld Travel Claremont Quarter and has been established for over 7 years. Collectively, our staff have over 45 years retail travel experience. 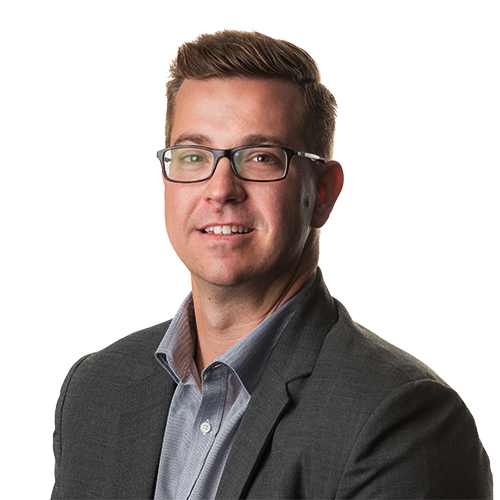 Shannon is a partner at Perth Property Lawyers, which is a division of his broader Stork Davies Legal Advisors practice. He has established a reputation as a trusted advisor for those who need help to navigate the legal complexities of modern business. Shannon practises in front-end commercial law, with a particular focus on commercial real estate transactions. He has substantial experience in acquisitions and divestments (both real estate and business), foreign investment, real estate developments, commercial leasing, State property taxes, loan arrangements, securities, and other general property and commercial matters. is the franchise store owner of Kwik Kopy Perth CBD. We appreciate that every business is different, from reliable business printing, creative graphic design or innovative online solutions, we can help you achieve your current and future business goals. Phil is a Chartered Accountant based in South Perth. As the director and founder of Forward Focus Chartered Accountants, Phil is a leading thinker in small business and with his hands on approach he has worked with some great small businesses nurturing growth, increasing cash flow and improving profits. Malcolm is the CEO of Meredith Lawyers, a small law firm thats gaining a big reputation. Meredith Lawyers practises predominantly Family Law and can assist clients going through the legal turmoil of a matrimonial or de facto separation, with fixed fees for certain matters to ensure peace of mind. Meredith Lawyers can assist you and members of your network with children’s matters, financial matters, divorce, finalising agreements between parties (including drafting Binding Financial Agreements, Family Court Consent Orders and prenuptial agreements) and niche or complex areas of family Law (including grandparent matters and matters concerning Violence Restraining Orders and family violence). If you or someone you know needs any Family Law assistance, send them through to Meredith Lawyers. Social Generation Marketing is a full-stack digital marketing company based in South Perth. We provide businesses of all sizes with tailored marketing solutions delivered by our highly talented in-house team. We pride ourselves on using in-house, local talent to provide our clients with quality work that delivers results! Whether it's a new website, faster Australian-based hosting, AdWords or even custom software development, Social Generation cares about helping your business to grow!